After a strong debut with Spell Of Iron, Tarot took two years to release their sophomore album, Follow Me Into Madness, in 1988. With an unchanged line-up, the band took the “dread of the second record” by the throat and compiled a solid set of hard-boiled metal. Overall the sound of the band remained the same, mixing 70s heavy rock with healthy doses of 80s NWOBHM, frosted appropriately with a Nordic melancholy flavour. Compared to their debut which was almost completely fast-paced and balls out-rocking, Follow Me Into Madness is a lot more dynamic. Speedy headbangers were mixed in with grinding mid-tempo tunes and the mandatory ballad. The opening tune, Descendants Of Power, features very Ritchie Blackmore-tinged riffing which, when combined with Marco Hietala’s timbering voice, gives the song a gripping “classic-Rainbow-on-steroids”-feel. Rose On The Grave follows and is the first clear indicator of the kind of variety the record has. A very catchy chorus mixed with haunting melodies makes for a great cut. The album continues in an almost straight alternating pattern of a fast, crunchy rocker (Lady Deceiver, No Return) followed by a fist-pounding, slower number (title track, I Don’t Care Anymore). Breathing Fire is the highlight of this record and one of my favourite track from the band’s whole catalogue.. A blistering riff opens up a really fast number that is boosted up by Marco’s devastating scream as Pecu Cinnari punishes the hell out of the skins. A wonderfully manic guitar solo follows suit. If there is one track that you want to pick to get a feel of the early years of Tarot, make it Breathing Fire. A few mediocre tracks like Blood Runs Cold/Happy End and I Spit Venom (I can’t figure out how such a cool name doesn’t result in a great song automatically) take this album just a small notch below the really evenly powerful debut, but the high points easily make up for them. As on the first album, a long, heavy ballad ends the record. Shadow In My Heart doesn’t quite reach the creepy, ominous vibe that Things That Crawl At Night got so well, but it’s still a very good tune as far as “soft” metal songs go. The 2006 re-issue features bonus tracks which are OK if nothing spectacular. The “re-recorded in 1995”-version of I Don’t Care Anymore is similar to the original save for a different intro and the live versions of Shadow In My Heart and Descendants Of Power are good stuff. Completists will enjoy the demo versions of In My Blood and Born Into The Flame, songs which came out on the third Tarot-album, To Live Forever. The technical performances of the band are expectedly tight, being even better than on the debut. Marco’s evolution to vocal divinity develops at a heady pace and I would put the guitar tandem of Zachary Hietala and Mako H. on the same plateau with more acclaimed axe duos like Murray/Smith or Tipton/Downing. The production is very similar to the debut, very clear and heavy at the same time. If I were to nitpick, there might be a bit more echo on this one, making the sound bigger but just a smidgen less in-your-face. It doesn’t matter too much because the song material certainly is in-your-face. 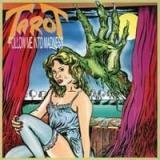 Musically Tarot continued on with a force on Follow Me Into Madness, but different factors (problems with the record company, line-up change, fluxes in the general musical landscape, etc.) would make the world wait five years for the next album from these Finnish metal masters. Fortunately they pushed on through adversities, because as strange as it sounds when talking about anything concerning heavy metal, the 90s was when things started to sound really, REALLY awesome.